Comparing special radar measurements can precisely identify soil moisture in Arctic polar regions. 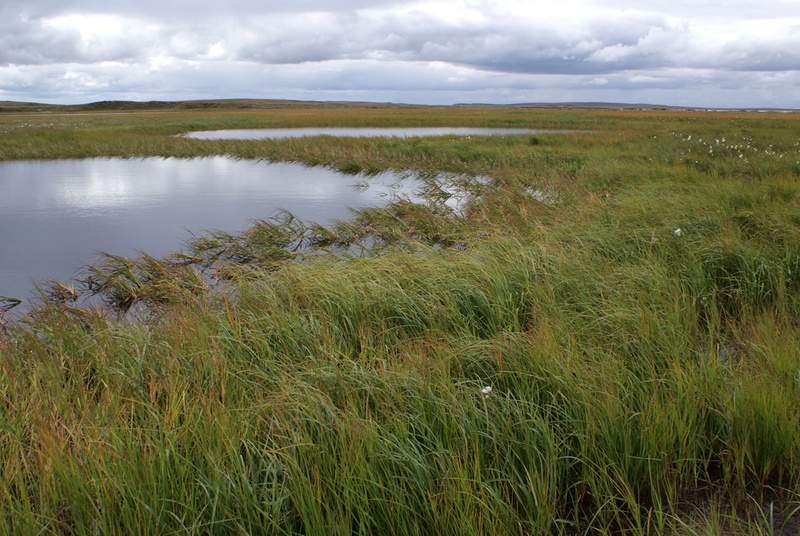 This has revealed that the scale of the Arctic wetlands may be a lot vaster than previously assumed. The method, which is important for numerous climate models, was developed by a team working on remote sensing with the aid of satellites and permafrost soil in the Arctic tundra region, in an ongoing project of the Austrian Science Fund FWF. To be able to improve existing climate models and examine the polar habitats of wild animals, knowledge of the extent of the wetlands in the Arctic region is crucial. However, even in the 21st century, this is more complicated than one would expect. The inhospitableness and sheer size of the land mass makes the use of special methods essential. A particularly high-resolution method has now been developed by a team working on a project sponsored by the Austrian Science Fund FWF and has been published in the “International Journal of Remote Sensing”. By drawing comparisons with known regional land-use maps, Bartsch and her team discovered that there was a relationship between the particularly low backscattering of the signal in winter and wetland-typical vegetation. The team not only identified and localized the lowest backscattering values of the winter months, but also compared the winter and summer values. “This actually revealed that where a particularly large difference was found between these values, the soil moisture was also very high. This is an effect caused directly by the moisture and not by the vegetation,” says Bartsch. However, although this difference appeared to be a more suitable method for identifying wetlands, measuring the minimal values of the winter months subsequently proved to be the better choice. “Another analysis showed that the minimal values from the winter months can be better correlated with various degrees of soil moisture than the winter-summer difference,” explains Barbara Widhalm, a staff member working on the project. “This allows us to differentiate between up to three classes of moisture.” This sounds very promising, but in its publication the team also mentions that there is currently no large-scale data that would enable independent validation of the results. What does exist, however, are references to soil moisture in numerous land-use maps that could be used as a reference for confirming the validity of the SAR measurements. “When we analyze the measurements of the entire Arctic polar region on this basis,” says Wildhalm, summarizing the results of this work, “then we discover that up to 30 percent of the country north of the treeline should be classified as wetlands. Up until now, we had estimated this to be at between one and seven percent.” The new method developed with FWF support therefore appears to be more sensitive than previous methods and could potentially have a major influence on future climate models and habitat studies. Annett Bartsch is head of the specialist department on climate impact in the area of data, methods, models of the Zentralanstalt für Meteorologie und Geodynamik (ZAMG) in Vienna. The focus of her research is satellite-based remote sensing of land surfaces in the far north. She has won both the Hertha Firnberg and Elise Richter grant from the FWF, thereby allowing her to expand her research at the Department of Geodesy and Geoinformation at the Technische Universität Wien. “A novel approach for the characterization of tundra wetland regions with C-band SAR satellite data.” B. Widhalm, A. Bartsch & B. Heim: International Journal of Remote Sensing 11/2015; 36(22): 5537 – 5556. DOI:10.1080/01431161.2015.1101505.